As climate change causes sea levels to rise, vulnerable populations in countries like Tuvalu, Bangladesh and Vietnam are threatened with the very real prospect of losing their homes and migrating inland. In some places, like Fiji, this is happening already. In 2014, the entire village of Vunidogoloa on Vanua Levu was forced to move to higher ground 2 kilometres inland to escape coastal erosion and regular flooding - environmental impacts that villagers and the Fiji Government attribute to climate change. A further 80 villages have now been identified as at risk, and in need of relocation. As President of this year’s UN Climate Change Conference of Parties (COP23) in Bonn, Germany, Fiji has the opportunity to bring this plight to the world stage, and represent other Small Island Developing States facing similarly devastating situations. 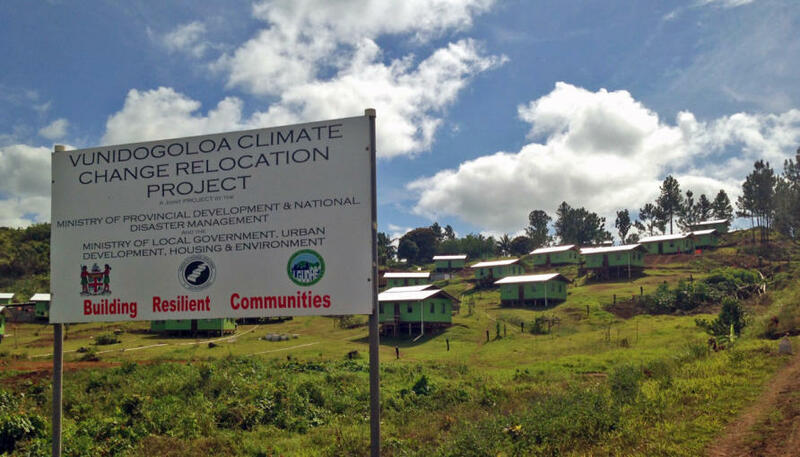 Dr Celia McMichael from the University of Melbourne’s School of Geography researches climate-related migration in Fiji in collaboration with local researchers. She says lower-income areas are among the most vulnerable to climate-related migration risks, including associated health risks. “People and populations that are displaced after experiencing environmental disasters like flooding can be exposed to heightened risk of infectious disease and poor water and sanitation,” she says. “Forced migration also generates complex psychosocial impacts as people are dislocated and their everyday routines and social structures are interrupted. One hundred and twenty people from 26 households in Vunidogoloa were relocated due to coastal erosion and flooding that damaged homes and crops. With the support of the Fijian Government and international agencies, the community has created new houses and livelihood opportunities. Fiji is one of the first countries to introduce government-run programmes that relocate communities impacted by climate change, including those affected by sea- level rise. With plans in place to relocate 80 vulnerable populations across Fiji, lessons can be learned from the Vunidogoloa experience. Dr McMichael says adverse health consequences can be reduced or avoided with careful management. “Villagers, government agencies and donors are keenly aware of the need to ensure ongoing food security including small-scale farming, to build water systems that can provide sufficient potable water in sites of relocation, and to develop and maintain livelihoods particularly where they have moved away from existing jobs,” says Dr McMichael. But, she says, we need to learn more about the different aspects of climate migration and to develop international laws and frameworks to support these migrants. She adds that migration shouldn’t be seen as the only adaptive approach to the consequences of climate change. 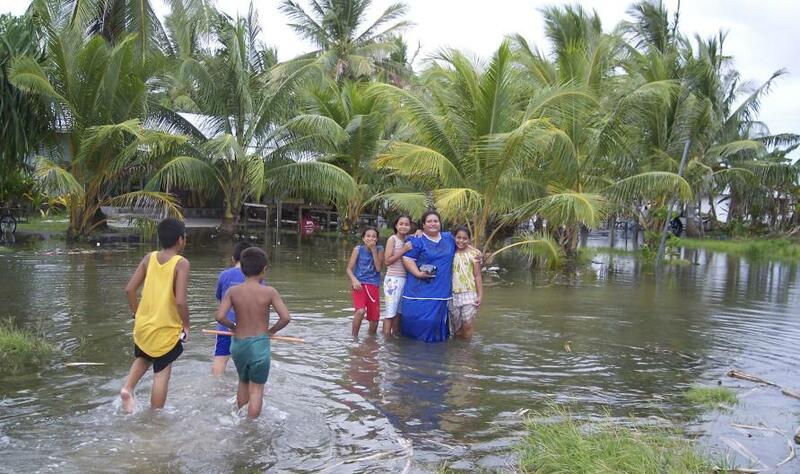 “In the Pacific and other countries, people are saying ‘We’re not climate refugees. We want to adapt. Migration isn’t our only option’,” says Dr McMichael. She says that whilst climate migration is a last resort, it should be done in a way that supports livelihoods and social networks, and works to minimise physical and mental health impacts. Like other Small Island Developing States in the Pacific Region, Fiji faces financial challenges responding to climate disasters. As a result, climate finance is a high priority for discussion at COP23 for Fijian Prime Minister and incoming COP23 President Frank Bainimarama. The Fijian government recently hosted a COP23 delegation for some pre-COP ‘Partnership Days’, where he described the plight of his people. 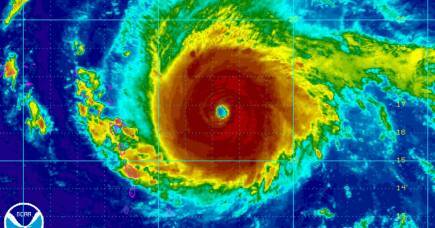 “It matters that you have come to Fiji, to where we live, to see the impact that climate change is having on our way of life,” he said. “And to perhaps understand better the specific vulnerability of people living in Small Island Developing States”. He also gave a summary of Fiji’s vision for COP23, and articulated the importance of action and progress. “Fiji’s vision is for a Presidency that is transparent and inclusive of all, advances the Paris Agreement and accelerates climate action for all vulnerable societies, drawing on our own experiences as a Small Island Developing State in the Pacific. Michael Traeger, Raveena Grace, Maddison Brian and Jack Simkin are masters students at the University of Melbourne. They wrote this article as part of their coursework for the subject Science Communication (SCIE90012). 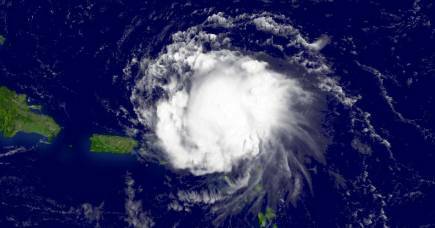 As Hurricane Irma wreaks a path of devastation across the Caribbean, just why do these meteorological monsters form in the first place and are they the result of climate change?